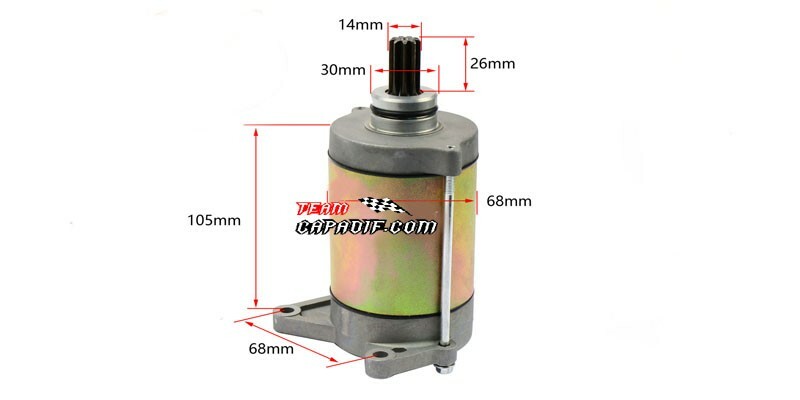 Starter, 9 spline, CF Moto genuine parts. Starter, 9 spline, CF Moto genuine parts. 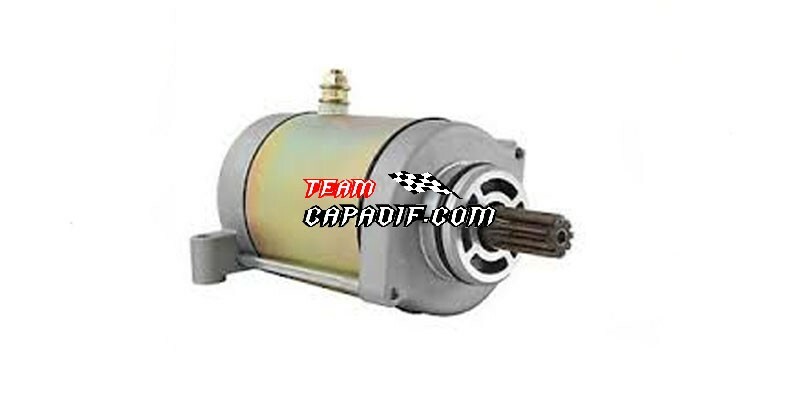 This starter is commonly (but not exclusively) used for CF Moto CF Moto ATVs and UTVs, CF500 500cc 2007-2009, CF500-2 500cc 2011-2012, CF500-2A 500cc 2011-2012, Rancher 500 (CF500) 500cc 2011-2013, X5 Terralander 500 492cc 2011-2013. Also applies to many other brands and displacements of 4x4 ATVs and UTVs, many of which use CFmoto engines or components to produce their end products.